The machines and their functions are displayed graphically on the LCD monitor (resolution: 320x240 pixels). The driver can read and supervise all important operation and machine data. A robust and clear tactile keyboard, a selection button and a practical multi-functional grip are provided for the operation of the BASIC-Terminal. For precision farming applications a PCMCIA drive for the data exchange with the farm computer and a D-GPS receiver for site location can be connected. The ISOBUS operates on the basis of a CAN-Bus. It controls the exchange of data between the operation terminal and the ECU located in the tractor as well as on the mounted and trailed machines. This meets the requirements of farmers and private contractors to link machines independent of the manufacturer. The ISOBUS system is supported world-wide by well-known tractor and machine manufacturers. Electronic control units send the machine-specific information to the terminal and carry out the drivers' commands. Several machines (e.g. tractors, field sprayers, drills) can be controlled simultaneously. ECU working with the LBS standard DIN 9684.2-5 can be adapted to the new ISO standard by software update. The number of agricultural machines and devices equipped with ISOBUS-compatible ECU will increase rapidly in the future. This means that today with the BASIC-Terminal you are already one step ahead and have the security on investment that you need. The BASIC-Terminal TOP supports Precision-Farming functions such as GPS supported order management, and data exchange with the farm-PC via USB-stick. Because of the universal application possibilities for all agricultural tractors and machines the BASIC-Terminal TOP is suited perfectly for Precision-Farming. 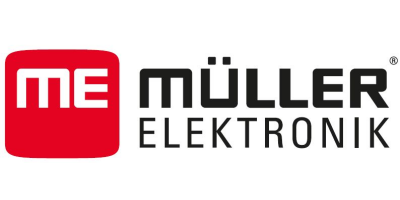 No reviews were found for Müller-Elektronik - Basic-Terminal Top. Be the first to review!